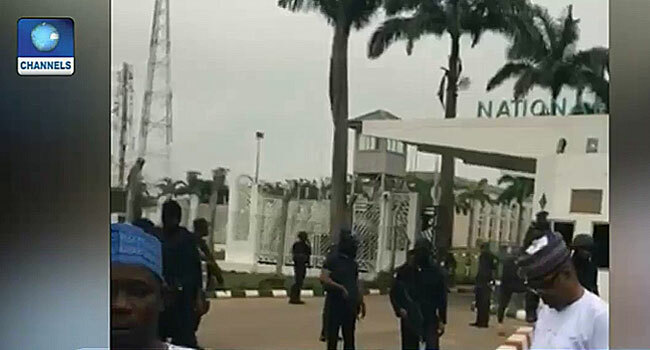 Security officials have stormed the premises of the National Assembly. 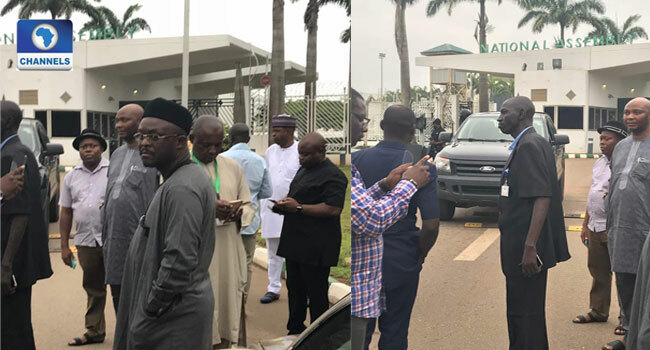 The masked security operatives and officials of the Department of State Services (DSS) arrived at the National Assembly very early on Tuesday morning and barricaded the entrance to the complex. Lawmakers and members of staff of the National Assembly were prevented from entering the premises. 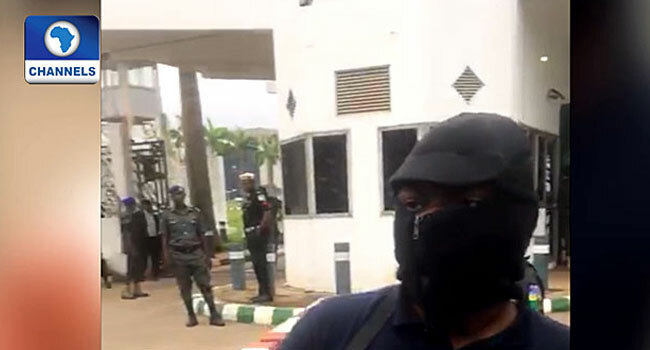 Channels Television Correspondent, Linda Akhigbe, reports that the masked security operatives were hostile to journalists as they seized the phone of one of the journalists covering the National Assembly. The lawmakers alleged that the move by the security is an attempt to aid the impeachment of Senate President Bukola Saraki and the Deputy Senate President Ike Ekweremadu. Lawmakers denied entry into the National Assembly. The lawmakers later gained entry to the National Assembly but their offices remained locked as workers at the National Assembly could not gain entrance. Senate President Bukola Saraki had on Monday called for an emergency meeting with principal officers of the two chambers of the National Assembly. The meeting was called few days after some lawmakers called for the reconvening of the Assembly to attend to some urgent matters of state.